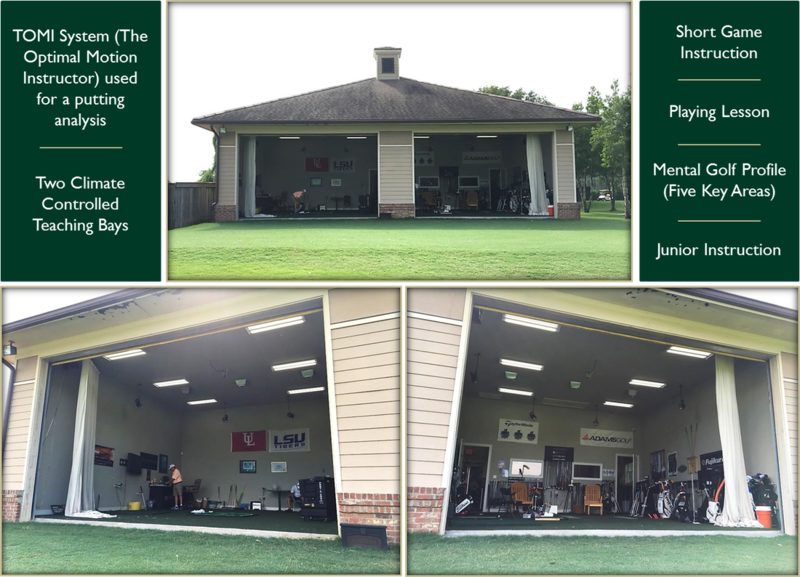 Experience our Indoor/Outdoor Teaching Facility! ​Our indoor teaching facility has the latest teaching technology to provide students with the ultimate golf experience along with the ability to launch balls onto an outdoor range from the comfort of our climate controlled teaching bays. During your lesson, you will have access to our extensive practice area located on the side of the Golf Academy building, which includes a putting green and chipping green area, both with sand and grass bunkers.